It's one of four deals to mark Cyber Monday - the Monday that follows Black Friday which, in turn, follows Thanksgiving Thursday. The other Xbox Live deals are Mortal Kombat Arcade Kollection for 400 MSP; Dungeons & Dragons: Daggerdale (7/10 Eurogamer) for 600 MSP; and Risk Factions (8/10 Eurogamer) for 200 MSP. 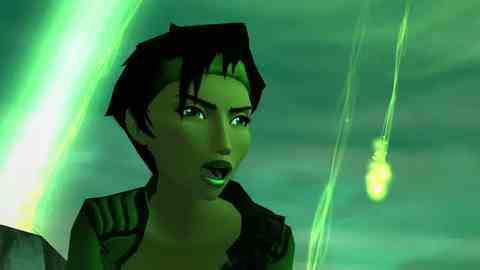 Simon Parkin gushed with praise in his 9/10 Beyond Good & Evil HD review on Eurogamer. He called the game "beautifully constructed", "wildly ambitious" and "pioneering". "Most pleasing of all is the cost," he concluded, prophetically. "At a time when many downloadable games are sliding up to the 1200 MS Points barrier, the 800-Point price tag for this much-beloved classic shows that a little generosity can go a long way. "If, like me, you let this one pass you by, there's no excuse not to rectify that mistake now." You can say that again, Parkin. Upbot! Trigger! PicDun! Daggerdale! Storm!